I dug up the three conversion lenses (macro filters) that I had so I could play with them on my PEN E-P3 kit 14-42mm lens. So far I am quite pleased with the results. The trick to macro shooting with the PEN, I have since discovered, which gives a good amount of detail of the subject is to turn off the noise reduction feature and to put the noise filter feature on to low on the camera setting. 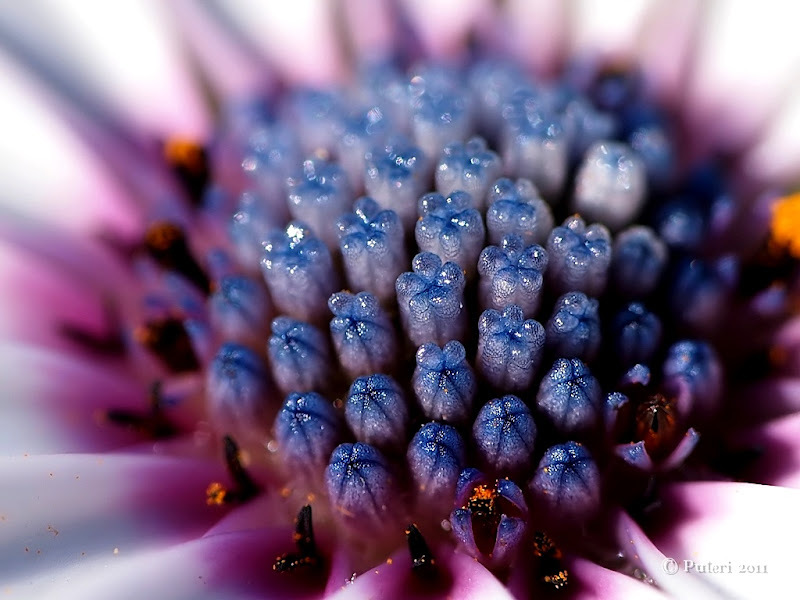 This is a picture of the center of an African Daisy. I am amazed at how much detail is visible through the camera lens. I have received much praise for this shot from the PEN Lovers group at Facebook. In fact someone suggested I make a poster of this picture, and I just did! Doug will pick it up for me from Costco on his way back from work on Monday. I can't wait to see the result! The morning glories in my front yard are looking a little forlorn now that summer is over. 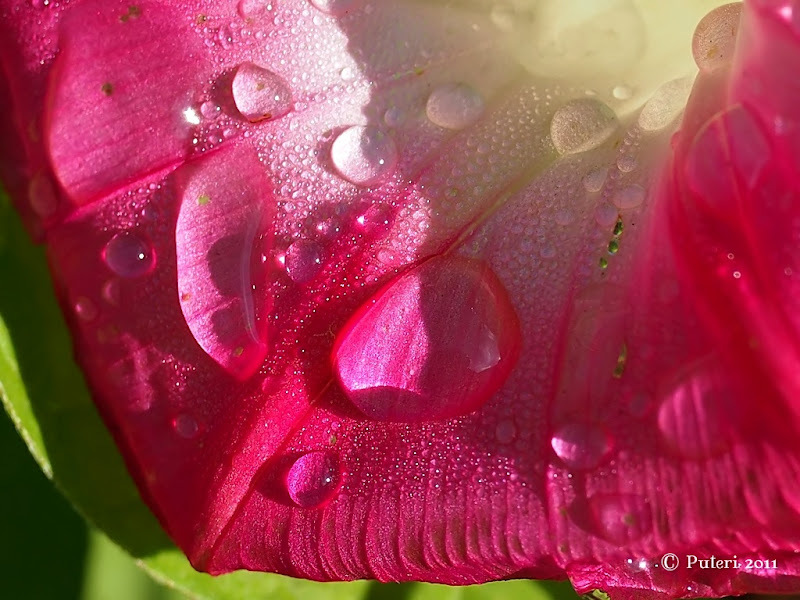 I love looking at the droplets of moisture from the dew on the petals of the morning glories. 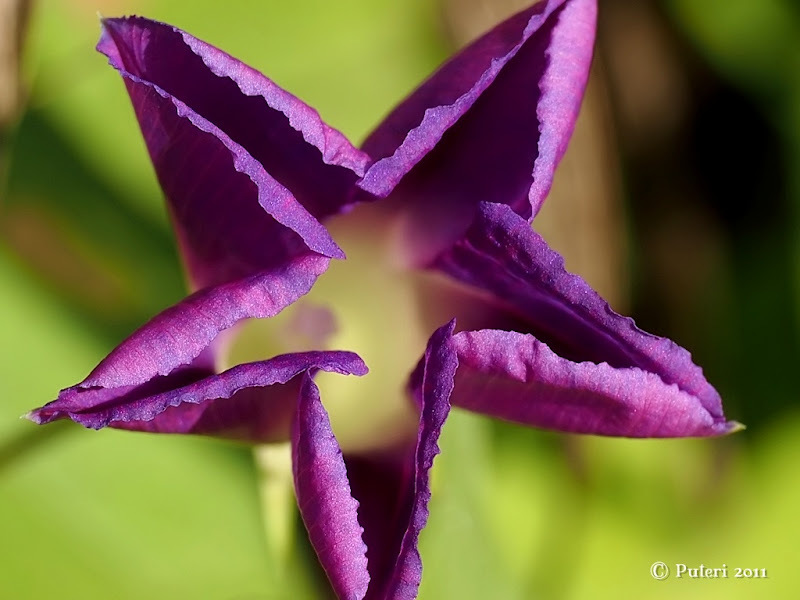 On hot summer days, the morning glories don't normally close like this, and I was quite intrigued by the angular shape of the petals because this autumn was the first I'd noticed the petals closing in such an angular manner. 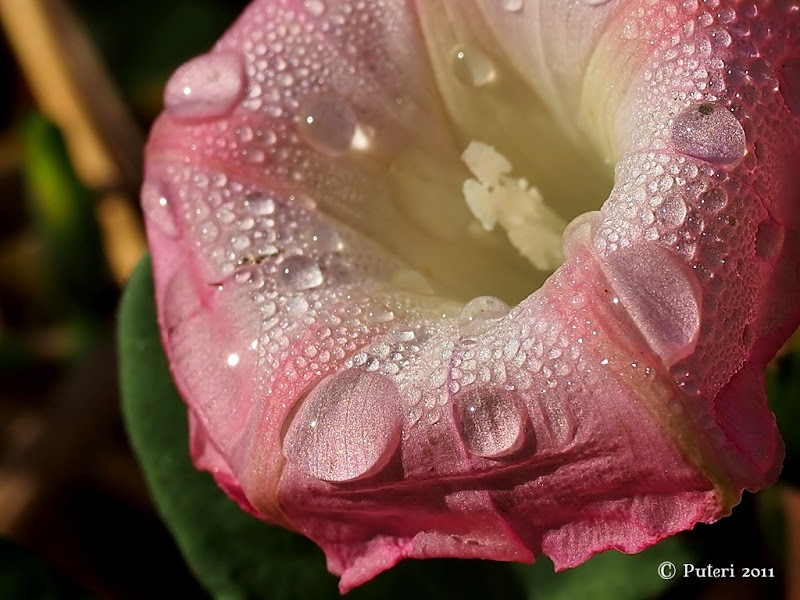 Another picture of a forlorn looking morning glory with droplets of moisture on its petals. I had hoped to see some ladybugs this morning too, but there was none. 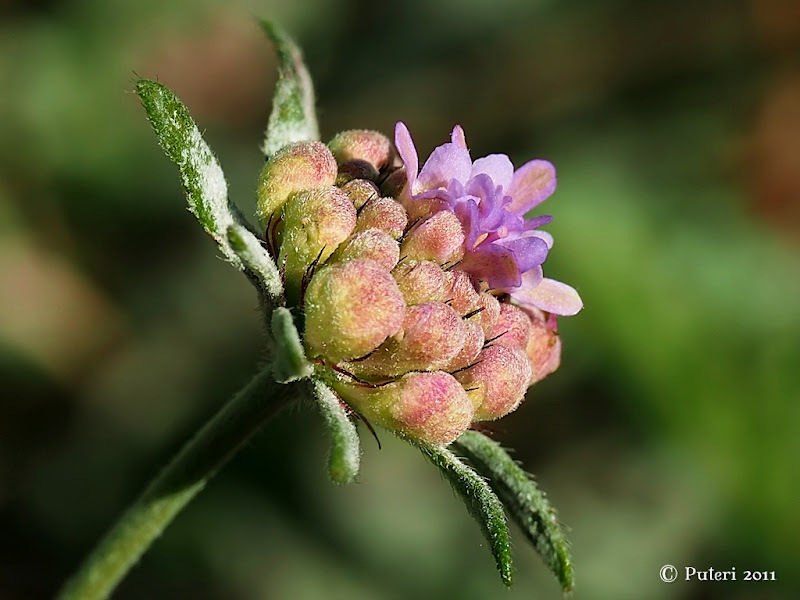 The scabiosa continues to bloom even in autumn and there's always the occasional butterfly fluttering on the flowers. 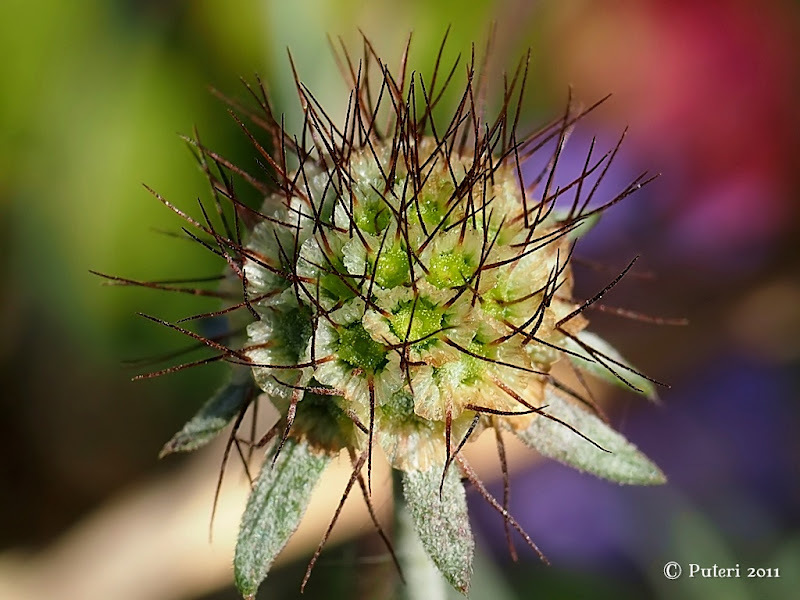 The scabiosa pods also look quite forlorn compared to their size and vibrancy in the summer!